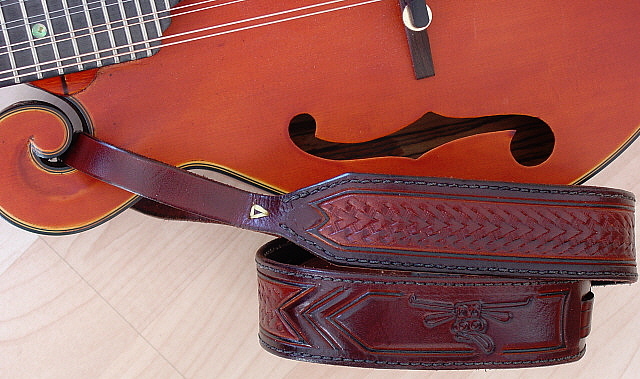 My new “Murdered Cow” leather mandolin strap is GREAT!! The strap colors really compliment my mandolin!!!! It looks beautiful, is a perfect width for any mandolin, and is very comfortable… already. To see more straps, go to Murdered Cow Productions. To order your own “Murdered Cow” leather strap, please contact Charlie Gibson at: gibsonlw@hotmail.com. Be sure to tell him that Jeff Cowherd sent you!! and receive personal attention without interruption. You'll essentially have the shop all to yourself.